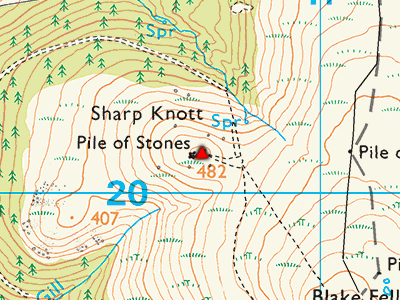 Sharp Knott is a rounded peak on the norther western shoulder of Blake Fell. This great little peak offers great views of Cogra Moss but east is restricted thanks to its parent peak. 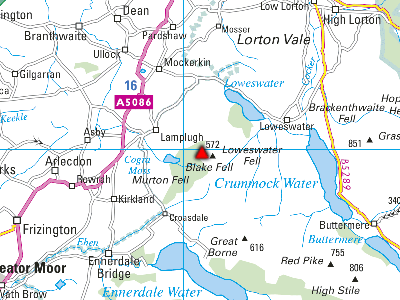 Sharp Knott is the fell on the right with the summit shelter clearly seen. Sharp Knott in the mist. Sharp Knott summit cairn and shelter.